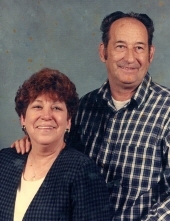 Millie Ward Dye, age 71 of Prestonsburg, Kentucky, passed away on Saturday, January 19, 2019 at her residence. She was born March 26, 1947 in Floyd County, Kentucky to the late William & Sara Johnson Ward. She was the wife of the late Rabon Dye. She is survived by her Sons: David (Anita) Dye of Granite Falls, North Carolina & Greg (Carla) Dye of Harlan, Kentucky; Grandson: Edmund Dye; Brother: Archie Ward of Kendallville, Indiana; Sisters: Annette Farmer of Wheelwright, Kentucky, Lillie Mae Ward of Paintsville, Kentucky & Dorothy Manns of Indiana. She will be missed by all that knew and loved her. "Email Address" would like to share the life celebration of Millie Ward Dye. Click on the "link" to go to share a favorite memory or leave a condolence message for the family.